…bearded dragons, that is. Here’s a wonderful e-mail from a GHE customer. Check out the great work she did–we love the picture! 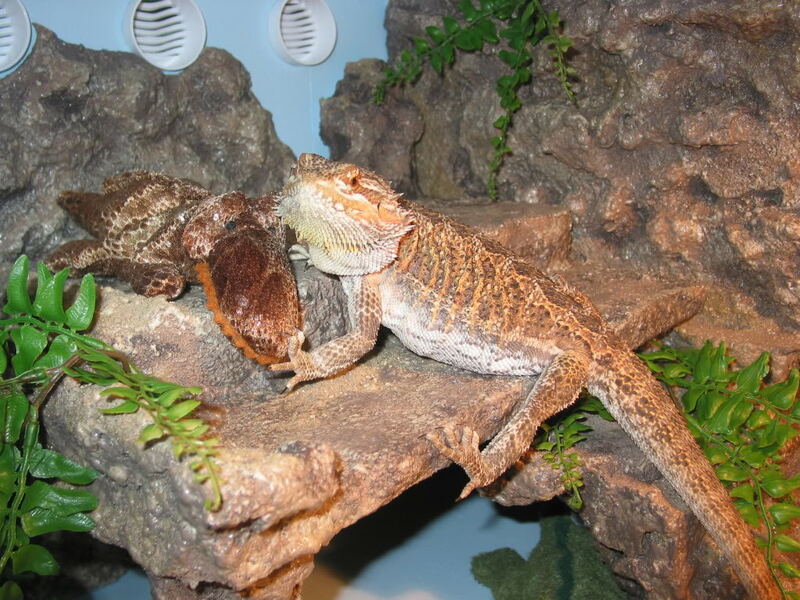 Remember we’re a pet-friendly store, so always feel free to bring in your animal friends, even bearded dragons! When I decided to build a custom terrarium for my bearded dragon Brutus, I thought the project would be a piece of cake. During my first attempt in building his terrarium, I used a polyurethane coat on the wood frame. The smell would not go away. I was very concerned that under the hot conditions of Brutus’s habitat, the terrarium would not be safe for him. I tossed that terrarium to the side and began researching safer products and materials for the terrarium. I visited Green Home Experts for a safe alternative. I used the “Early Day” AFM Safecoat blue paint to seal the wood and give Brutus’s terrarium some color. For the fake rocks, I reused the packing styrofoam from a stereo system. A can of Great Stuff insulation foam, some sand and acrylic paint put the finishing touches on the rocks. I was very grateful to find a store from which I could purchase a safe paint product for Brutus’s new home! And Brutus absolutely loves his habitat! Thank you, Green Home Experts!! !